USAT Charles L. Wheeler Jr. Laid down in 1907 as the Cargo ship SS Point Judith at Albina Engine & Machine Works, Portland, OR. In 1920 SS Point Judith was sold to Pacific Mail Steamship Co.
Resold in 1929 to McCormick Steamship Co. under Pope & Talbot operation, renamed SS Charles L. Wheeler Jr. Custody assigned to the War Department, 17 July 1942, Commissioned USAT Charles L. Wheeler Jr. Laid up, 24 September 1946, in the National Defense Reserve Fleet, Olympia, WA. Final Disposition, sold for scrapping, 16 January 1948, to Franklin Shipwrecking Co. (PD-X-411 dated 31 October 1947) for $19,589.89, Withdrawn, 3 February 1948, Scrapped at the yard of Puget Sound Bridge & Dredging Co., Seattle, WA. 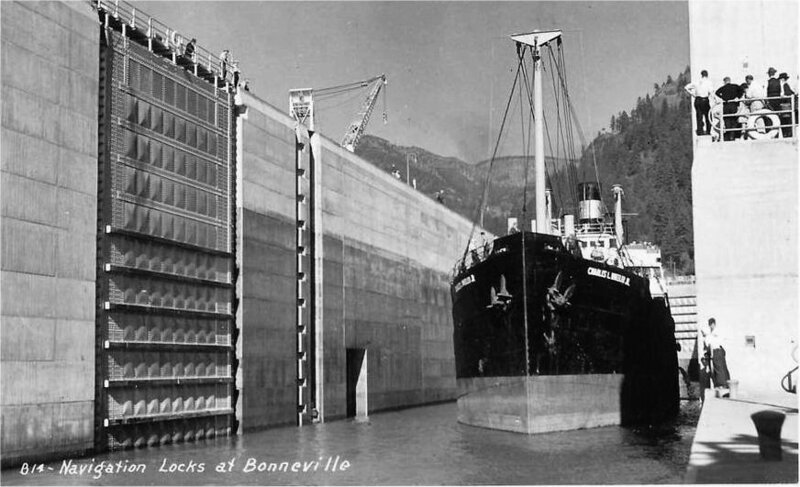 84k USAT Charles L. Wheeler Jr. makes the first passage by a deep-sea commercial vessel through Bonneville Lock, Columbia River, 4 July 1938. 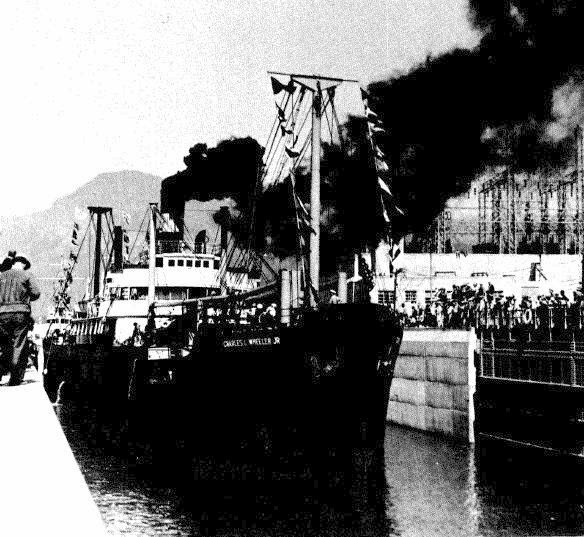 101k USAT Charles L. Wheeler Jr. transiting downstream through Bonneville Lock, Columbia River, 12 July1938.